That meant, the vendor representative had to come and finalize all the details and specifications of the chair. If you are in need or will be in need of a wheelchair for the first time, you will learn that just getting any old wheelchair isn't what is best. Yes, in countries where mobility devices are hard to come by, many will use whatever means they have to get around. In our country and I assume the US of A, a physic therapist or occupational therapist assesses your needs. 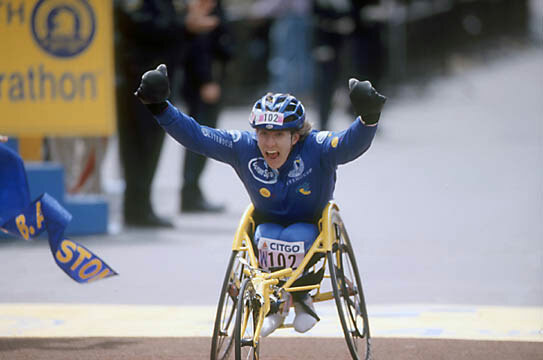 In Craig's case, they made sure the seat dimensions were correct, as well as the height from the seat to the floor and the height of the back of his wheelchair. If there are weight issues, then they also need to make sure the client weighs under 250 pounds or maybe with the brand/model he is getting it is 260 pounds. He found out after purchasing the Quickie Xtender power assist wheels that there is a 250 pound weight restriction. Not something you want to find out after you purchase a device like that. We discovered the warranty would be void if he exceeded that limit. Thankfully, he was under, but it sure opened our eyes to not assuming, the vendor will let you know all those kinds of details. I know weight can be a sensitive issue for some, but it is better than finding out after the purchase, that your chair can't can't handle your weight and can't be fixed under warranty. Be sure to do your research on the product as well as the specifications and restrictions. Aside from those details, they also needed to make sure that he gets the special supports under his arm rests. Some people use their arm rests to lean on for transferring. Like Craig has done. It means standard chair arm rests can not handle the force nd pressure and require metal bracing underneath the arm part. Often when a new chair is ordered, a new medical cushion is required as well. Google wheelchair cushions and you will find many exist. However, we only recommend ROHO cushions. They are rubber, with air modules or cells. They come in different thicknesses and the air can be distributed evenly in one big compartment or as in my case, I have the Quatro version, divided into, you guessed it, quarters. Because I have severe scoliosis, the valve can be released, so I can learn one way or the other, let the air fill up more in one of the quarters, then lock that air in place. You never want to just use a cheap foam cushion if you are a regular, full time wheelchair user. You can end up with serious conditions that are avoidable like, pressure ulcers or osteomyelitis bone infections. And just plain, pain! Some folks like myself, require physical supports that can be inserted once in your chair. Or some have a specialized wheelchair back that can have lumbar supports that are permanent or removable, and/or swing away lateral supports and such - all to help keep your spine straight. Many, including myself, can end up with scoliosis as a secondary issue, due to poor seating or lack of seating supports. Sitting in a wheelchair that doesn't have proper positioning for your body, can lead to physical deformities that could be avoided if everything was well supported. As for Craig's Chair, it was officially ordered over one month ago so today he phoned the vendor to find out if it is in yet. And yay, it is in their building! He is in desperate need of it because his old one is literally falling apart. They told him that it isn't assembled yet. So he has to be patient along with however many other customers. An understandable thing, but hopefully it happens soon because the back canes that broke a while ago, are twisting and messing with the chair. Since he has to wait, he just left to get the hand brake fixed because it is letting loose, not a good thing when you are transferring from point A to B. At least it is in the city. As well, the vendor has to set up the chair according to the specifications decided upon in the seating clinic with the physical therapist and vendor. So that is where Craig's new chair is at as of this moment. As soon as there is more movement, I shall post some more! Any questions, comments or suggestions about topics, please comment down below! Okay, that's not Craig or his new wheelchair! This is the olympic athlete Jean Driscoll! Cool wheelchair meant for racing!